Creating a home that you love to come home to takes a lot of hard work, planning, and skillful landscaping, Sarasota, FL homeowners have come to discover. After all, Sarasota landscaping work is the first thing that anyone will see whether their coming by for a visit, passing by, or coming home to stay. 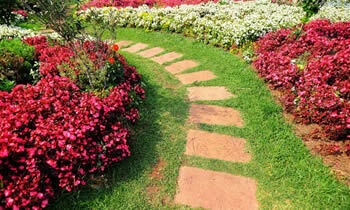 The highly visible and highly specialized nature of keeping your home’s landscaping in Sarasota, FL looking its best has led countless homeowners to spend countless hours toiling over the look of their front lawn while debating the pros and cons of turning to local Sarasota landscaping contractors to perform the work for them. Today, the benefits of that decision make it clear that turning to the dedicated Sarasota landscaping contractors here at Chop Chop Tree is one of the wisest decisions a homeowner can make to improve the look and value of their homes. Why Choose Chop Chop Tree for Landscaping in Sarasota, FL? If you’re tired of the dozens of different services which are involved in keeping your home’s landscaping in Sarasota, FL in a condition that you’ll love coming home to everyday then there’s no better time than now to get in touch with your local landscaping Sarasota, FL experts here at Chop Chop Tree. Simply call our friendly and knowledgeable representatives today at (941) 757-8587 to schedule a completely free at-home consultation and estimate for the Sarasota landscaping services your home needs.